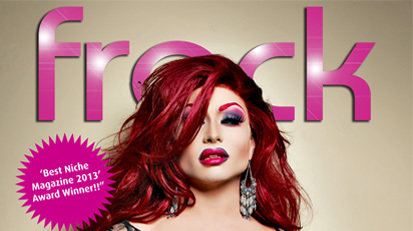 Your New Award Winning Frock Magazine - Frock Magazine for crossdressers, transvestites, transsexuals and transgender people everywhere. Oh, and Drag artistes too! Your new Frock is ready Madam – 117 pages of transgender fun, stories, articles and profiles which will keep you occupied for hours! And this issue comes complete with Suddenly Fem’s new Fall catalog, full of wonderful clothes and accessories you’ll want to wear.